Mrs. Claus is wearing Santa's hat but she blings it up adding a poinsettia. 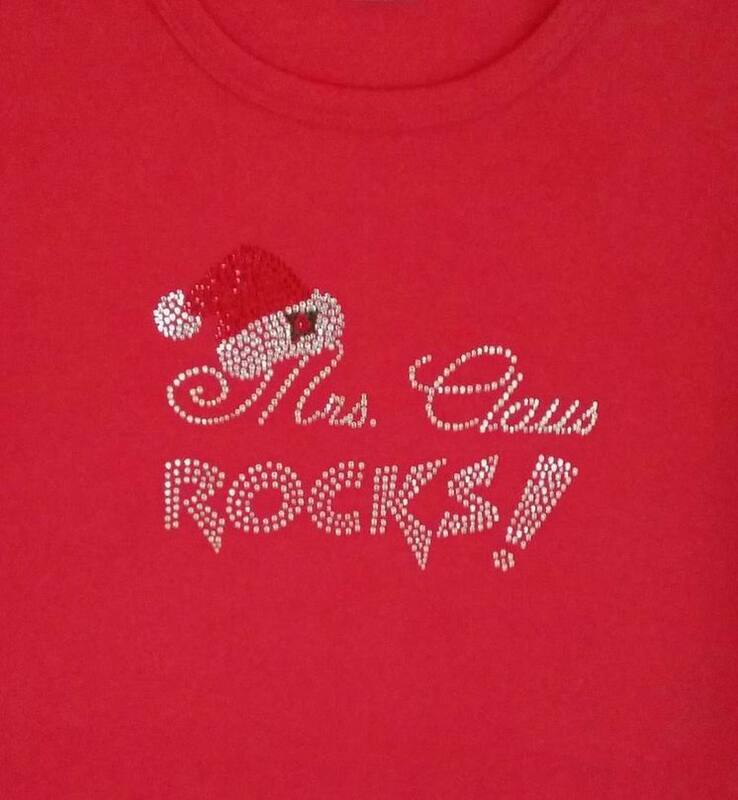 She is rockin' it with all rhinestones crystal, red and green on a red top that is 60% cotton/40% poly. You will be the highlight of the evening or office party with this fabulous top. Makes a great gift. 3/4 sleeves with a scoop neck.